Hello there cuties! What are you doing? It's Tuesday today and I'm spending some time with Christina and Emelie. We're going to eat some tastey foodz soon, yay nomnom. Today it's day 18 and the theme is half moons! My inspiration for this manicure was an outfit that Hayley Williams wore to a show once last year I think. Here's a picture and here's another one. I started with one coat of Nfu Oh Aqua Base before I put on two coats of Gosh Holographic Hero. Then I used a nail art brush and China Glaze Surfin' For Boys to do the half moon. I love Surfin' For Boys, it's simply amazing. 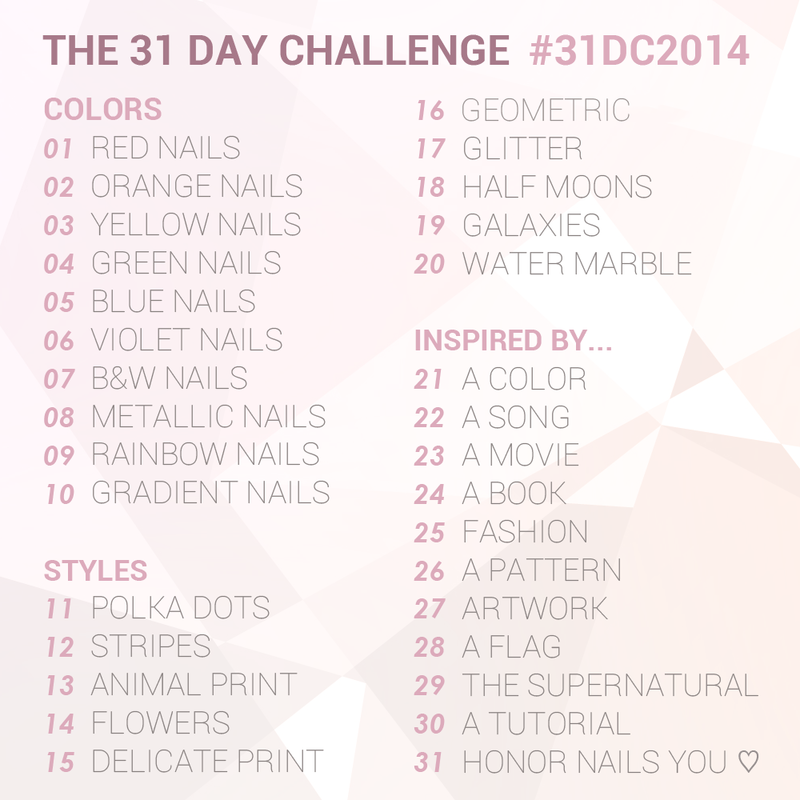 Check out day 18 from last years challenge, click click! Gillar kontrasten mellan färgerna och du har så nedrans snygga naglar!